Think about your smile. Do you share it confidently in all situations and in all pictures? Are there small imperfections or even major cosmetic issues that make you less confident to smile big? If so, then maybe you should consider permanently improving your smile with porcelain veneers from Dr. Jorgenson. At Advanced Dental Care in Costa Mesa, you can conceal the smile you have and reveal the smile you want. 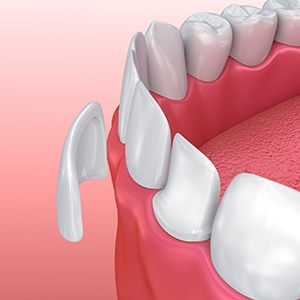 Porcelain veneers—also called dental veneers or just veneers—are ideal for repairing a smile that is marred by a number of cosmetic imperfections. 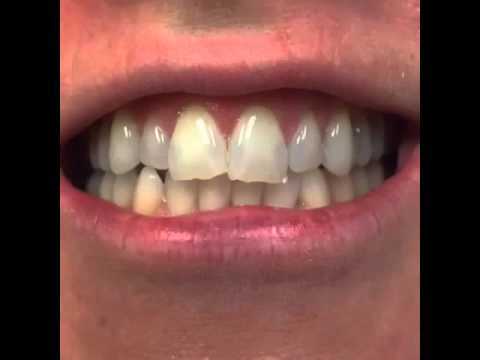 With veneers, you can magically correct teeth that are chipped, broken, fractured, misshapen, or have gaps in between them. Rather than take the time and incur the expense of all the cosmetic and restorative procedures that would normally be required to restore a smile with these flaws, you can have a beautiful smile with porcelain veneers in usually only two appointments. Why Choose Advanced Dental Care for Porcelain Veneers? Porcelain veneers are micro-thin sheaths of dental porcelain that are adhesively bonded to the facial side of teeth in your smile zone. Because they are made of porcelain, veneers reflect light like natural enamel. Moreover, they can be sized, shaped, and colored to accommodate your mouth and your unique facial features. First, Dr. Jorgenson will need to be certain there are no other outstanding oral health concerns to address before beginning the process of porcelain veneers. Then, once he's determined that you’re a qualified candidate, you’ll come in for a consultation. At this meeting, we’ll discuss your smile goals and take X-rays, impressions, and photos of your teeth. Be sure to mention the qualities you want your smile to have. You may even want to bring pictures of celebrities who have smiles you admire. Then, Dr. Jorgenson will prep your teeth for veneers by removing a small amount of your teeth’s enamel. Doing so creates a stronger bond between the veneers and your teeth while also ensuring that they lay flush with the rest of your teeth. Once prepped, another impression will assist the dental lab as they fabricate your permanent veneers. In the meantime, we’ll place temporaries to protect your teeth and help you get accustomed to the feel of veneers. When your new, permanent veneers arrive, you’ll return to our office where Dr. Jorgenson will fit and bond them into place. If any need to be trimmed or shaped, he will carefully do that as well. At the end of the appointment, you’ll have a smile that you won’t want to hide again! If you would like to learn more about veneers in Costa Mesa, then call our dental office to reserve an appointment with Dr. Jorgenson. We are happy to serve patients from Irvine, Newport Beach, Huntington Beach, and beyond.